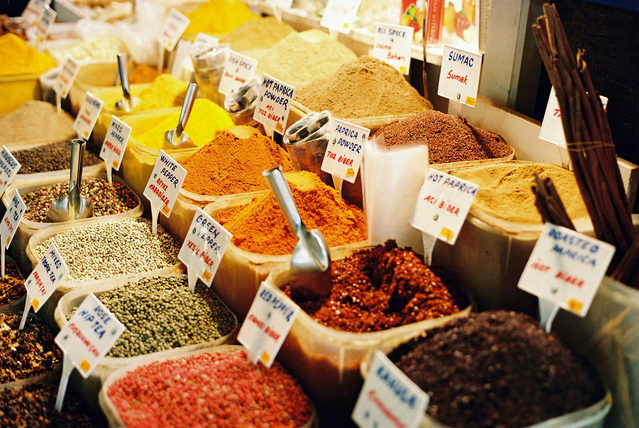 When engaging into the spice industry, you should consider some things in order for your spice business to be successful. So, if you love to cook and are intrigued by the different cuisines in the world and the spices they use, the spice business is right for you. If you love cooking and are always intrigued by the different spices of the different countries, you can start a spice business and turn your favorite hobby into earning money. You just need the right licenses, excellent marketing strategies, wholesale resources, bank account for your business and some creativity and planning. You don’t need a lot of money for your capital cost because starting a spice business is relatively low in startup cost. You could check with your local, state, county, and zoning laws about the appropriate licenses necessary when starting a spice business. Be aware that there are some homeowners’ groups as well as some cities that are banning any spice business run in homes. You may be required to have a specific place where you will assemble and stock the spices you will sell for sanitary inspection and health clearances. If this is your case then you must find a place that has passed these inspections and used it for the assembling of the spices. Then, decide carefully on how you are going to market the spices. You can use proprietary blends for the seasonings. For example, the Italian spices blend would consists of oregano, basil, garlic powder, marjoram, onion powder, fennel seeds, as well as parsley. You can also concentrate on the spices use for certain dishes like soups or chili. Find where you can buy wholesale spices in much cheaper prices as well as the package materials you need. You can look in the local telephone directory or look online for the companies offering wholesale of spices. Keep in mind that the spices that are bought in bulk are very much cheaper that those in the grocery stores. As for the packaging materials, these things should be of food-grade quality and must be designated carefully when you purchase them. The prices of your packages must be competitive with the gourmet products. You should put together the right herbs and spices’ combinations for the convenience of your customers. Know where you are going to market your spices. The grocery stores are usually not an option for this business because most of them will require terms that many small businesses can’t afford to accommodate. The boutique gourmet stores can be a possible place for selling spices. You can also choose to sell on food shows, crafty shows, and farmers’ market or just sell exclusively online. As for the business account, this is where you will deposit your business sales money so it is important to track and also keep any receipts so that it will be easy for you to complete tax forms. Providing palliative care for patients suffering from terminal illnesses is the job of hospice program. Operating a hospice business requires patience, resilience and lots of time. i am a manufacturer of spice, pickle & agarvati in bhubaneswar, pls tell me how can develop my market. Hello sir, i am from nashik maharashtra , and i am looking for small scale busines opportunity in spices manufacturing industry . But do not have idea . If possible please guide me. my business is in Lesotho, Quithing district. where do you think i can get stock with less costs? Dear sir, i want to star new spices making company near pune. So please consult me all detail information from investment, built company, to marketing. Thank you. With Best Regards, Shivraj Khandagale. Dear sir i want to start up a spices manufacturing industry in new Delhi India kindly guide me where from to obtain the licenses any support from govt in terms of marketing. Also guide me where from i get complete info. I am starting a new spice business online and in Texas to start. I am looking for sources to purchases wholesale spices direct. Where can I locate reputable distribution channels? Thank you, I look forward to your feedback. I am staying in Mumbai and like to start spice business from my home. My home is in housing society. Which formalities i have to carry out? May I get spice gardeners name/address in kerale from whom I can buy spices directly? I like to do spice business from home .My business location will be Mumbai, Maharashtra, India. What formalities should I carry out? i wish to know regarding the packing machinery. from where the best options are available in north india. I want to start a spice business with some homemade mix spices like MDH have in the market. Kadi Masala, Raita masala, pau bhaji masala etc. Do i need to take the license from food ministry or somewhere else? Or just can start as a trader as buying spices from market and (after doing mixing and packing) selling as a new product in the market with my own trademark. please guide me. i want to start the same at very small level first then if it get success we can take it on higher level. I like to start a spice powder unit in kottayam , kerala . Kindly get me a project report and other technical know how to start the same. Please guide from where to get whole spice and the packaging material at lower cost in ahmedabad or nearby ..
i want start a spice business and what are the machine price. I Want to start a new small business for Turmeric, Coriander, Chili. I do whole turmeric, coriander, chili, bringing the grind & want to sell. Please advise me how can do this. Please advise me a good machine price. I've 500000 budget. Hi ! I want to start a new small business in spices, please tel me how to do that in pratapgarh u.p. Dear sir i want to start a small business in spice, please tell me how to do that in New Delhi. Please advise me. I want to start spice processing plant in kashmir. plz help me to start it. Plz mail me detailed project report. and total cast of this project. my business in kathmandu , Nepal and i need grocery items to sell here , i have my supplier too so , i want to contact big part of contract of every grocery items of food and beverages, plz contact in mail. hello @suneeta shrestha i want contact with you for business, how can i contact your. Hello i am from Jodhpur, i want to set up Spice production factory. Pls tell me the Approx cost to open the factory( with Low Budget). Also pls tell necessary government certificate and licenses required to set up up the factory. also profit margin in this business. i want to start spice industry in solapur. pl. help me for getting all machinery quotations. also guide me about govt. subsidies. Hi Sir ! I want to start a new small business in spices, cleaning / packing etc kind of business my name is prema my no 9886885952 please suggest me. hi, i want to start new business of spices in new delhi, please guide me. mobile no.9810091069. I want to set up my spice manufacturing unit in najafgarh area as i have a 50 Sq.Yard plot there. pls guide me what factors should i keep in my mind to start these business. I want to set up spice manufacturing unit as this is relatively low invest business. Please guide me guide me what factors should i keep in my mind to start this business. I have no experience in this field. I have a 50sq.mtr. plot in Najafgarh, Delhi. India. Sir i want to start spices business in himachal pardesh i have my own land that i can grow spices plants. help me sir how should i start . please guide us for initiating a small business of making spices . @Prashant- I'm also from Jodhpur and I've Manufacturing set up of Spices Products, so if you want to sale spices produces at optimum cost or either you may become marketing executive with our brand name and having Agmark certifications. mail for detail. Sir, Namaskar, I am SK MD SHAHID, from BURDWAN in WEST BENGAL. I want to set up a homemade spice business with little capital about Rs. 50,000. Please sir give me a complete guideline according to indian rules & regulations for registration my business and also getting the licenses. THANK YOU. Hi sir i am vinod sharma from faridabad sii i want to start my own manufacturing of spices in uttarakhand rourkee. Please give some tips how to start up my business. thank you. We earnestly look forward in assisting you for import/export of Agro/Agro based products. Pl contact us MMTC Ltd(Govt.of India Undertaking, Ministry of Comm. ), Chennai R/o, Rajeswari (Dy.Manager) â€“ 9677290044. I would like to know how can I find the small scale equipments, supplies and ingredients required for dry seasoning mixes: the tumbler, individual pocket size sealed pouches, dry ground herbs, dry powder spices, etc. My home based business is in Carolina, Puerto Rico. we want to start a new business of spices manufacturing. Please guide us from where to get license and necessary permission..
hi, all we have a spice factory in bangalore, by name himalaya spices and trademark got registered. we want to sell it . good market and good network and profits . we r now interested in realestate , so want to sell that . our himalaya spices is registered trademark . which is internationally acceptable. my no is : +91 - 8951 751 686. I am looking forward to start a business in spices. would want to know the process to start up. Also how to approach to the retailers for the same. Would like to know everything. if you can please guide me would be glad to undergo training. Awaiting reply. hello Sir, i live in kolkata and wants to start spice manufacturing business. need your guidance regarding the same. Hello Sir, I am starting my own business of spices but i am very much confused that what should be my first step to introduce my product in the market? Whether i should hire some distributor, sales person or i should go shop to shop to introduce my product. And also which marketing tools should i use in the beginning as i have less capital. so plz guide me sir asap. thank you..
dear, sir I want to start a business of whole spices from Darbhanga Bihar .please suggest and help me about this..
sri. i am live kandy in sri lanka. i like to join spice business small scale locally or internationally. i wont to know how to join? how meet buyer? what is supply level & quality? Miami, FL. USA. I reside in Miami, FL and I have Caribbean inspired marinades that I create. They are delicious. I currently sale out of my home but would love to take it to a higher level. Your guidance is appreciated. Thank you! PLZ GUIDE ME ABT LICENSE AND ANY OTHER TIPS ABT SPICE MARKET. I'm EXCELLENT IN COOKING REALLY CURIOUS TO DO BUSINESS OF MY OWN MASALAS RECIPE. I M IN ROHINI DELHI INDIA. THANK YOU! Hello i am from Punjab, i want to set up Spice production unit on home scale with own brand name. Pls tell me the Approx cost to open the unit( with Low Budget). Also pls tell necessary government certificate and licenses required to set up the unit. sir, i want to start masala powder packing business. how can i start? Sir i am a horticulture graduate. and a lots of spices are cultivated in this region where i am living. i want to start garlic powder business please inform me about this please guide me. I am own business of spice production in uttar Pradesh and now I want to start it in Delhi please guide me through this. hello sir, i am going to start a spice (various type of powder)processing unit. please give details information about perches raw materials , building structure, marketing strategies etc. Thank you. Hi I'm in South Africa, Johannesburg, Ekurhuleni I'm part of a recently developed small spice business, I need to know how to grow the business, formulate spices and acquire good raw material and take into account health and safety aspects of the business. Dear sir, Hello i am from uttar pradesh, i am looking for small scale business opportunity in spices manufacturing industry . But i don't have an idea, how to set up Spice production unit on home scale with own brand name. Pls tell me the Approx cost to open the unit( with Low Budget). Also pls tell necessary government certificate and licenses required to set up the unit. Thank you, I look forward to your feedback. Hello sir, I am from surat. I am interested in starting a business of whole spices from Gujrat. I just wanted some information on the whole-sellers from Gujrat. with their contact details. Besides this I would be doing this business on a small scale from my residence which is in a co-op housing society. So I just wanted to know if I would be required to obtain any kind of licenses for the same. Awaiting your reply at the earliest. Thank you. Pravin patil. Dear sir, i want to star new spices making company. So please help me all detail information from investment, built company, to marketing. Thank you. With Best Regards, Shyam. Hi Sir/ Ma'am, we need dealers for our herbal products and all kind of spices in U.P . So kindly contact us for this and also need some investor..... If someone has their own new idea for our business plz contact us. Dear sir, I am spice manufacturer and trader in ballygunge, kolkata, west bengal . I also have a retail outlet from where we sell our product. I further want to enhance my selling through packaging the product. So please help me with ideas of marketing my product. Hi, I would like to start up a spices grinding business in Pune. Can you please help me with the licenses required for the same. DEAR SIR, I WOULD LIKE TO START UP A GRINDING & SELLING OF SPICES OF MY OWN BRAND NAME. CAN U HELP ME FOR THIS IDEA. I want to start spice manufacturing and packing business so I don't know about how much I have to Investment in district level business Plant in Yavatmal. please help about Investment and who to get license manufacturing and packing. Hello Sir, I am Sailendra Chandra Nath from Tripura(NE), I am looking for small scale business opportunity in SPICES manufacturing industry .I don't have an knowledge, how to set up Spice production unit with own brand name. Please advice me the Approx cost to start spice Mfg.Unit and Machinery suppliers in Kolkata. Further, pl provide all other necessary information and Licenses etc. required to set up the unit. Thank you, I am waiting from your response.